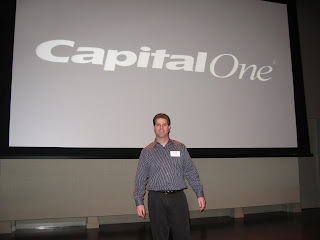 Capital One Here I Come! In February, I was invited to be the keynote motivational speaker at the Hands On Risk Management Meeting outside of Washington, D.C. Capital One brought in leaders from around the U.S. and beyond to attend a one day conference discussing the direction of the company. They brought me in to make the connection that no matter how hard the challenges may be, you can do it. My job was to remind the attendees to reach their goals and go beyond much like I have done in my life. I focused on the 3 P’s! Passion, Positive Attitudes, and Perseverance! It doesn’t matter what profession you are in….if you understand the importance of these three qualities, you will be successful….just look at the way I live my life! London Bridges are NOT Falling Down! Nancy and I had an opportunity to visit London, England in January to shoot some footage for an upcoming docummentary on “Tourette in the Workforce.” The producers came to me and asked if I’d be willing to share my story for their show. They came to the U.S. and filmed me in Atlanta, and then we went to London to get more footage with the kids from Sunbourne Elementary School. 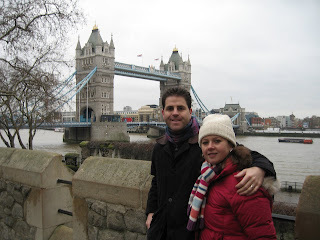 The experience was amazing as we got a chance to both film and enjoy London. This docummentary is set to air in England in March or April 2007. They are still trying to sell the rights to a channel like TLC or Discovery Channel in the U.S. More to come I am sure! 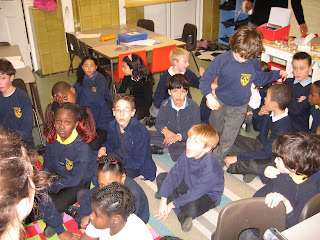 You are currently browsing the Class Performance blog archives for February, 2007.